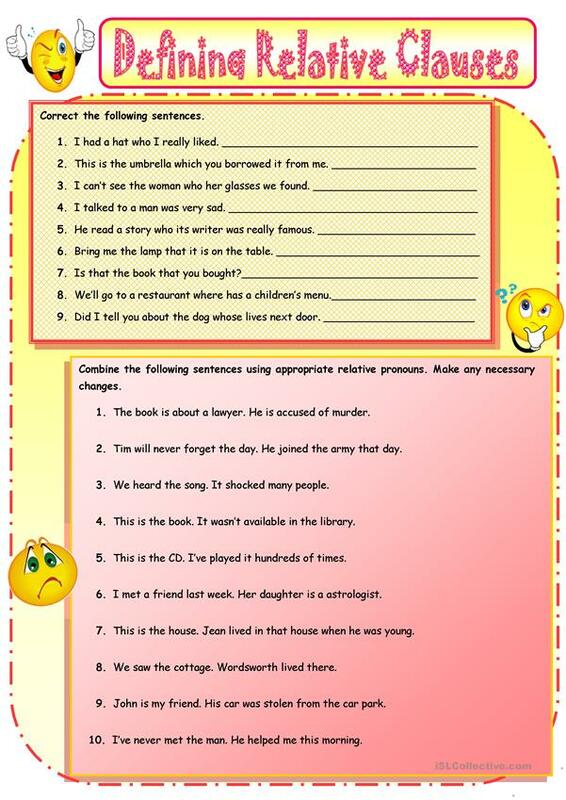 These relative clause sentences include rephrasing and gap fill exersices. The vocabulary is varied and the level is for Secondary school and practising for B1. The present downloadable worksheet is meant for high school students and adults at Pre-intermediate (A2) and Intermediate (B1) level. It is valuable for practising Relative clauses and Relative Clauses: Defining in English.